See why our solutions are truly better and the value of our guarantee. These let in more natural light and provide a safe basement exit. We are properly licensed to repair or replace your sewer lateral. We offer commercial waterproofing, foundation repair and more. We offer multiple outdoor drain solutions to prevent basement water. 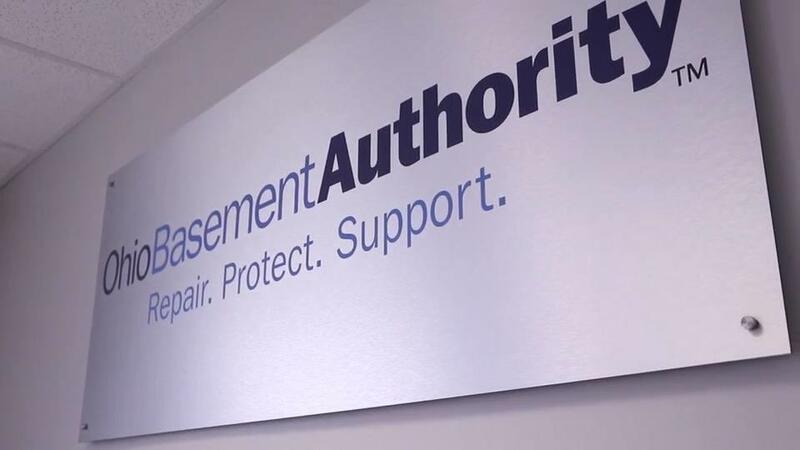 Ohio Basement Authority is dedicated to providing permanent and effective basement waterproofing and foundation repair solutions to repair your leaky basement, damp crawl space or structural issue with proven waterproofing products and systems to fit any budget. We also provide expert radon testing and radon mitigation, ensuring you have a safe, healthy home. Have questions? Just let us know and we will be happy to explain what is wrong and how we will fix it... we are here to help. If you are dealing with basement, crawl space or foundation problems and live in Greater Columbus, Chillicothe, Mansfield, Springfield, or nearby give us a call. We offer a free, in-home inspection and cost estimate for all of our services. Our vision is to establish Ohio Basement Authority as Ohio's most reliable and respected crawl space, foundation repair, basement waterproofing, and radon mitigation company. We strive to provide a high level of WOW customer service to our customers by conducting our business in an honest manner with the highest level of integrity. Ohio Basement Authority provides on-site inspections and Free Estimates for all of our basement waterproofing and foundation repair services. Our Ohio service area includes: Columbus, Springfield, Mansfield, Westerville, Newark, Lancaster, Zanesville, Chillicothe, Marion, Dublin and surrounding cities and neighborhoods. Ohio Basement Authority is a locally-owned and operated licensed basement waterproofing and foundation repair contractor with a team that has decades of hands-on experience. Your home is one of the biggest and most important investments in your life. Ohio Basement Authority knows how important it is to protect this asset from water, mold, and structural damage with our cutting edge, patented waterproofing technologies and products. As a member of the Basement Systems and Supportworks networks, we offer state-of-the-art waterproofing products and services that will keep your basement healthy and your investment safe. We can ensure long-term basement waterproofing solutions that provide value to your property and create a space that's both healthy and functional.